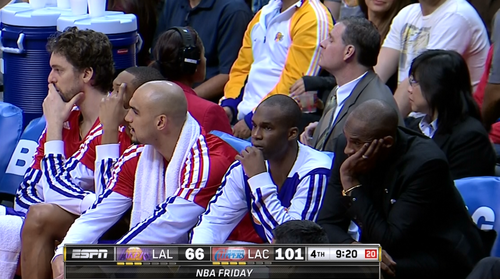 You may or may not be following the Los Angeles Lakers this season…..and why would you?! They are just downright awful. From Kobe Bryant’s supposed triumphant return from a career ending ACL injury, to yet another detrimental injury to the star player, the Lakers have yet to find their footing. I think the entire season can be summed up in this succession of photos of Kobe Bryant at the Lakers gut wrenching loss to city rival, the Los Angeles Clippers. Did I say gut wrenching? I meant an embarrassing disgrace. 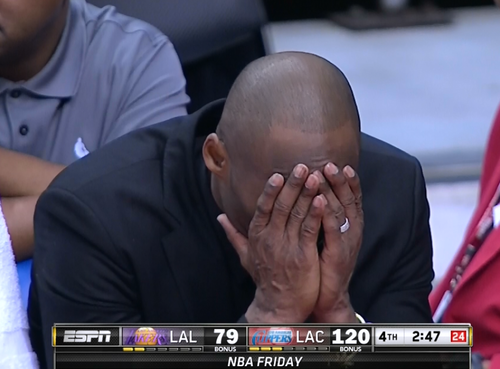 And here we go Lakers…….going straight back to the D League. Only down 40 points….no real biggie. But check out his wedding ring bling yo! 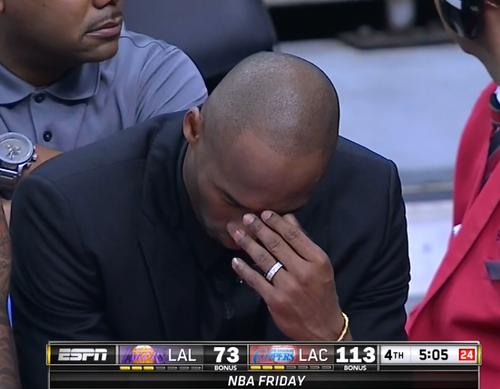 As of now, Kobe may be regretting signing his 2 year contract extension…….or his hands smell like coco butter. Yum. 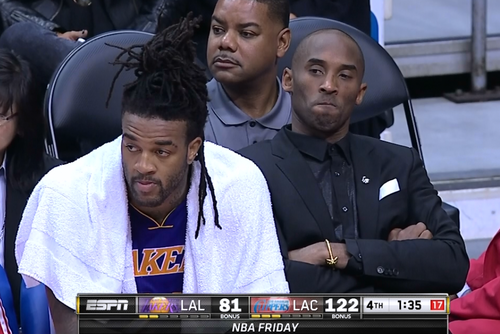 I don’t know whether Kobe is pissed at his teammates poor play or Jordan Hill’s hairstyle.